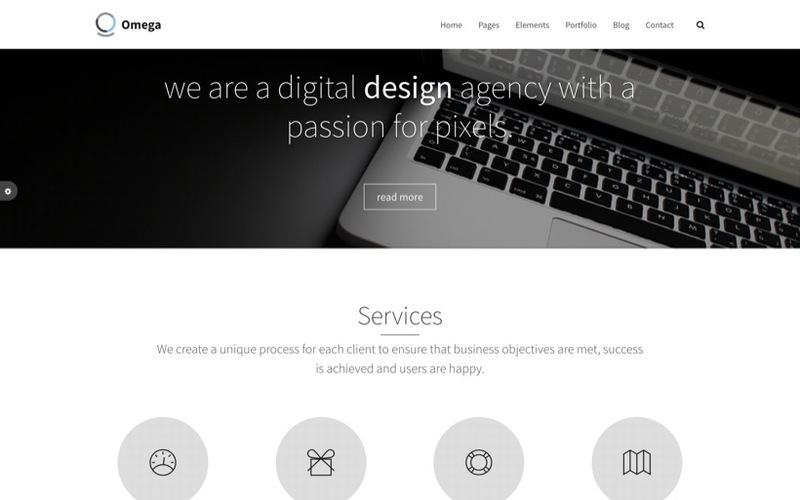 Welcome to Omega Theme, a professional multipurpose template for any creative or business website, designed to look stunning out of the box. Designed from mobile up, your site will look great on any screen size. A carefully crafted theme with clean flexible modern design offers many features such as Isotope, unlimited color combinations, a set of outline icons, font awesome icons, responsive typography and cross browser compatibility. PSDs are also included!